My job as a professional bloggers requires me to spend a lot of time on the internet. Often while browsing the web I need to open up a new document; this document could be a text file in Word, a presentation file in PowerPoint, an Excel spreadsheet, a new Paint file for drawing, or any type according to the task I need to perform. To perform all these tasks I need to minimize my browser, locate and open the shortcut of the application that I will create the document in. Since I work under deadlines I wondered if there was a way I could cut back on the time it took me open a document. 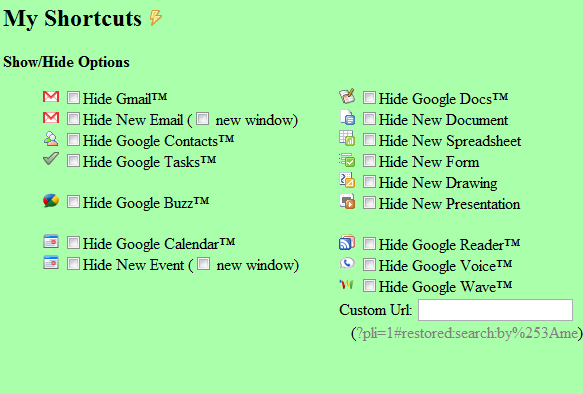 I conducted a quick web search and fortunately find the tool I was looking for: My Shortcuts. 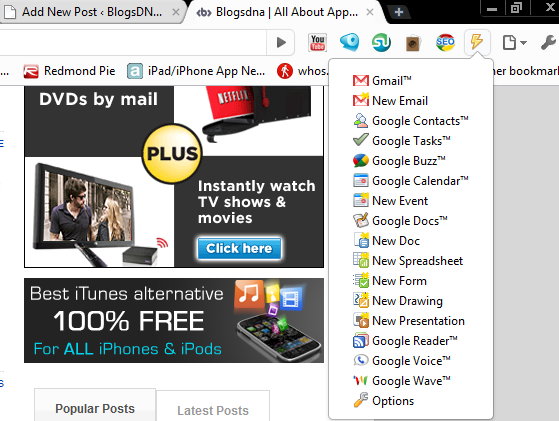 My Shortcuts is a browser extension for Google Chrome. With its small size the extension is installed instantly. It places an icon in Chrome’s address bar. Clicking on the drops down a list of options which lets me perform most tasks that otherwise I open separate programs for. Suppose that while browsing a website I decide to write a note about it and also notify fellow bloggers about it I would need to write them an email right away. Now instead of leaving my browser to open Chrome, I can use My Shortcuts’ icon to access the option “New Email.” This will open up a new page where I can paste this link and email within a matter of seconds. Similarly other options provide us with various options such as opening a spreadsheet, setting a new event, and sending a new email. We can control which options we see by accessing the extension’s options. 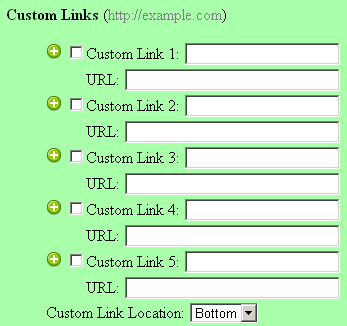 The options even let us add a custom URLs to our menus. Personally I have found My Shortcuts to be a wonderful tool since Chrome is my default browser. Try out this extension and use the comments to let me know if it was similarly useful to you. Pingback: ?? Chrome ???? ?My Shortcuts | ??——??????? Next Entry: Sprint's Android 2.1 Update for Hero and Moment, Early May?